I will talk about Houston Heights resale home prices in a later post. This one specifically targets new, single-family homes. The big factor in prices of all Houston inner-loop construction is land cost. Land in the Heights runs from $25-$40/SF, depending on location. Thus a 66×100 ft lot can cost $165,000-$265,000. Obviously you can’t pay this amount and put a single inexpensive house on it. Note: The “Heights” is not a uniform neighborhood. The lines between the “good, bad, and ugly” are blurring, but still exist. Thus price obviously depend on location. 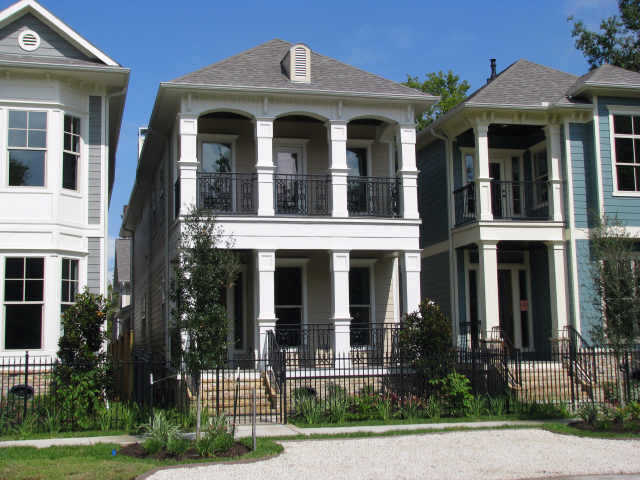 Woodland Heights, Norhill and the core streets of Houston Heights command the highest prices. Prices on the periphery are less, since you are nearer to commercial streets or even a warehouse. At these prices you have choices: A big expensive ($700K+) house on a full lot, or put more than one house on it. The most common practice is putting homes on lots 25 ft wide, or 30-35 ft wide lots. These typically have “Heights-style” home with detached garage and alley-access. Garage front homes are another possibility. Each one of these become less expensive. 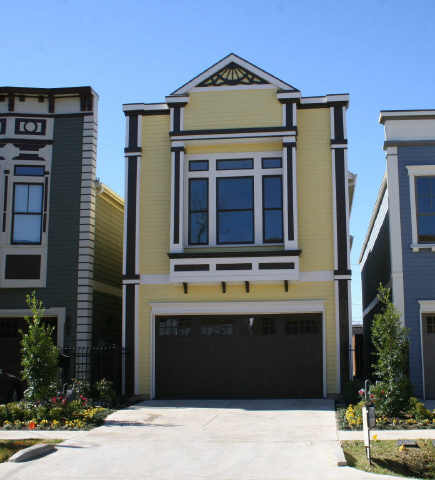 New construction homes on 50 ft wide lots are typically in the rarified prices range of $700K+. These are 2800- 3600 SF and in the range of $200-230/SF. Location obviously affects it, but big homes aren’t built in crappy locations. 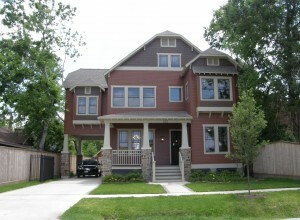 The example here is the Craftsman style Houston Heights new home home by HDT. Next in price are homes built on 35 ft wide lots. These are smaller homes, but typically offer high-end amenities. These lots are big enough to still offer decent yards. Prices range from $450-$550,000. Roughly $180-210/SF. 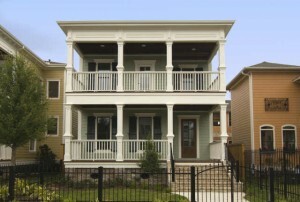 Sullivan Homes is one of the premier builders offering these homes. Homes built on 25 ft wide lots are popular, but the yard is squeezed down. Porches and balconies help to compensate. Price range is $475-$550,000. At the high end you can get garage apartments, like SSH homes is building on W 26th St.
Last, are the front-loading homes. These aren’t as ubiquitous as they are in other inner-loop areas. After all, we like yards and porches here. However, some people don’t like yard work, and these can be built less expensively. These are priced at $130-160/SF. There you have it. Take your pick.